We are a proud city of drinkers (or is it a city of proud drinkers?) and everybody knows it. 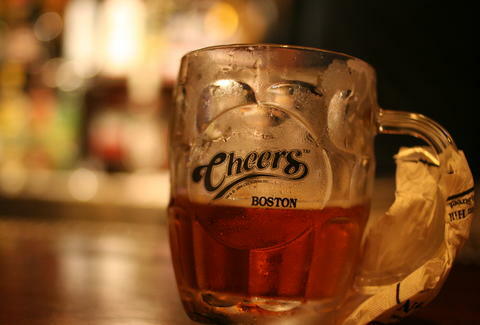 A certain sitcom may be partially responsible for said status, but the truth is Boston overcame its Puritan beginnings to become a legendary drinking town long, long ago, so let us channel our best Derek Waters and give you 14 great moments in Boston drinking history. 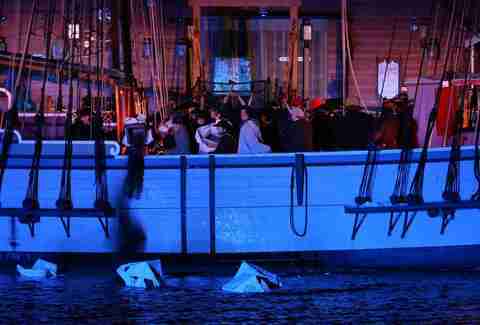 The Boston Tea Party starts as a kegger. Well, sort of... in a polite, old-timey way. On the day of the Boston Tea Party, the Sons of Liberty met at Benjamin Edes’ print shop to smoke pipes ("didn’t inhale"), drink punch, and prep themselves to punk the Redcoats. 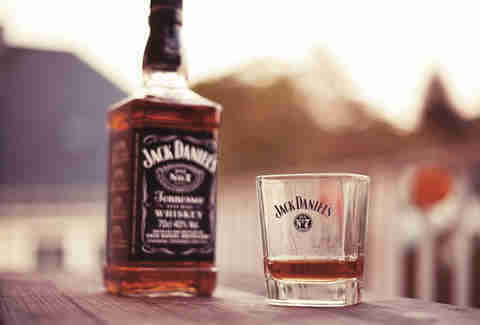 You can’t have taxation without representation... or a few drams of liquid courage. True story: the Massachusetts Historical Society has Benjamin’s punch bowl, which is way cooler than some broken bell (stares daggers at Philly). Jimmy Wilson opens the Bell In Hand. For more than 50 years, Jimmy Wilson belted out the news as Boston’s town crier and reported on everything from those wacky Brits (cue Benny Hill theme) to the original New England Patriots (wayyy pre-salary cap). Basically he hosted colonial America’s The Daily Show. 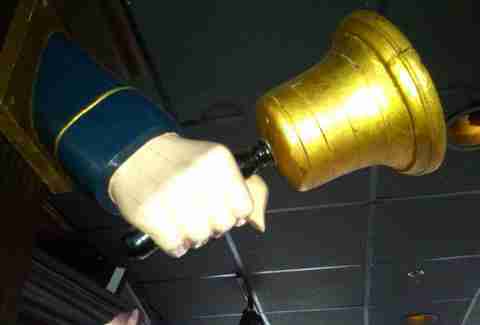 Upon retirement he launched the Bell In Hand, which's been a Boston drinking institution ever since. That’s about 220 years of non-stop pints. Hear ye, beer me! William Wright patents the Hawthorne strainer. Yeah... it’s that goofy-looking metal doohickey with a spring around the edge that bartenders use to strain your Kamikaze shots out of a shaker. It came from Boston (who knew? 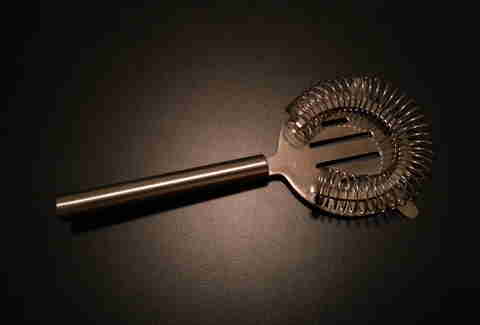 ), and now this handy tool resides in just about every bar in the world. You’re welcome, planet Earth. 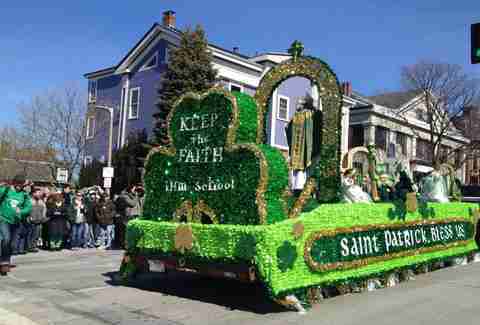 The First Annual Southie St. Paddy’s Day Parade. Whether it was the Ticonderoga cannons atop Dorchester Heights, or the strong urge for a frosty tankard (ding! ), the British left the Hub on St. Patrick’s Day so that we could finally get around to being ‘Merica. 125 years later, the good folks in Southie commemorated this with a parade, back when parades were fun or something. Today, people mostly ignore the pimply marching bands, pretend to be Irish, and behave questionably. The "Ward 8" is created. It’s essentially a whiskey sour with some grenadine... and our only gift to the realm of classic cocktails. The exact origin and actual ingredients are hotly contested, but it likely celebrates the election of Martin "The Mahatma" Lomasney and is so dubbed because Ward 8 (Roxbury and the South End) propelled the man into state legislature. Along with his nickname and some "handshakes". 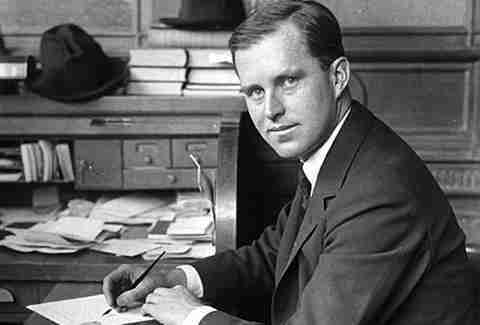 Prohibition establishes the Kennedy legacy. No wonder the Kennedys were always so popular. According to legend (wink), Papa Joe ran booze into Boston during the Prohibition (which, spoiler alert, didn't do much to curb drinking! ), consequently lining his front pockets with future campaign funds... and his back pockets with more connections than a really, really good LinkedIn profile. Old Mr. Boston Official Bartender’s Guide is first published. Leo Cotton from the Old Mr. Boston Distillery (Roxbury) had a grand vision: publish a definitive book of drink recipes featuring their spirits following the repeal of the Prohibition. Wicked smaht. Thirsty mixologists quickly made it the unofficial "bible of booze", and for decades this handy tome has remained the go-to resource for amateurs and pros alike. Wade Boggs drinks himself to infamy. 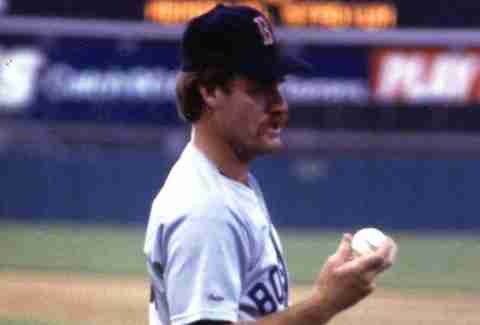 Wade Boggs’ MLB stats are almost as distinguished as his drinking accomplishments. And that’s saying something. But the grand-daddiest tale of them all involves Boggs annihilating a billion (somewhere between 50 and 64) brews on a cross-country flight with the Sox. He started with a sixer in the clubhouse and the story goes rapidly downhill from there (or uphill, depending on your point of view). Between the 'stache, the boozing exploits, and the pre-Moneyball devotion to OBP, Wade Boggs is truly an American hero. 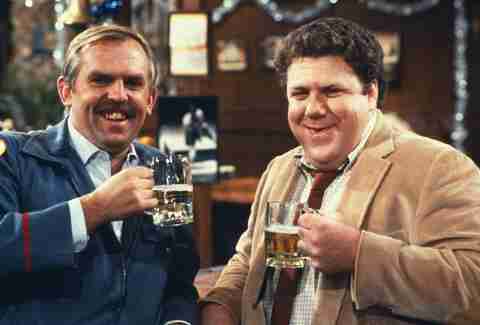 Cheers debuts. The lovable Cheers crew redefined the sitcom and ensured Bull & Finch would find its way onto every tourist’s to-do list until the world falls into the sun (note: the gift shop will remain open). More importantly, it permanently established Boston as a friendly-neighborhood-pub-kind-of-town. Because we are. Unless you’re wearing Yankees gear. 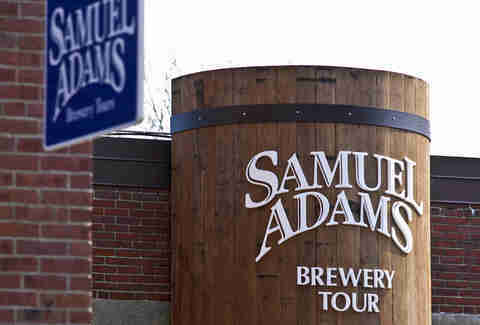 The Sam Adams brewery opens. Believe it or not, Samuel Adams Boston Lager helped resuscitate the craft beer industry. So there’s that. In the early '80s, Americans drank watery beers or watery-er beers until Jim Koch (pronounced "cook"... not [censored]) brewed an old family recipe on his kitchen stove. By 1988, The Boston Beer Company sold their wares coast to coast and people realized beer could have more flavor. And alcohol content. The Sunday liquor ban is lifted. For 200 years, Bay State boozers couldn’t buy their aqua vitae on Sundays, forcing the ambitious to scramble to their corner packy (or New Hampshire) and leaving the lazy stranded. Thanks, Puritans. At least former Gov. Mitt Romney aced this one, and Sunday Funday got a whole lot better. Shots power the Red Sox to World Series glory. During the most epic October EVER in Sox history, that hardscrabble "bunch of idiots" reportedly (again, wink) did shots of Jack before games. Good idea. They deny it, but we know what’s what. Right, Tito? The Bruins rack up a $156,679.74 bar tab after winning the Stanley Cup. "The road of excess leads to the palace of wisdom..." Or one heck of a party for Bergeron and the boys at Foxwoods (they earned it). To be fair, $100k of that was spent on a bottle of Ace of Spades Midas Champagne, which is made from unicorn tears or something. The MBTA extends their service hours. Nobody could ever figure out why the T stopped running at 12:45am while bars remained open until 2am. But they fixed the glitch, and now you can ride the late-night rails with all manner of obnoxious college kids, and maybe even your regrettable forthcoming one-night stand. Everyone’s a winner.